A $202.04 million loan agreement between the Philippines and the Japan through its Japan International Cooperation Agency (Jica) is set to be inked early this year. This is the next step after the exchange of notes between Foreign Affairs Secretary Teodoro Locsin Jr. and Japanese Foreign Minister Taro Kono, which took place on Sunday, February 10, at the Marco Polo Hotel Davao. Shingo Miyamoto, Japan’s Ministry of Foreign Affairs director for Second Southeast Asia Division, told reporters that the loan signing was scheduled on Sunday but did not push through due to some procedures. “No fixed date yet as to the schedule for the signing of the agreement but it will happen very soon. It will not take long,” he said. Natsuko Sakata, Japan’s assistant press secretary, said in a roundtable discussion with reporters that the project intends to rehabilitate the road system to revitalize the economy of Mindanao, especially the war-affected areas. “The road network is crucial for the transfer of goods, and to improve access to public and social services such as schools and hospitals,” she said. The road network project is expected to be fully materialized in 2026. The loan has a repayment period of 25 years, inclusive of seven years grace period. 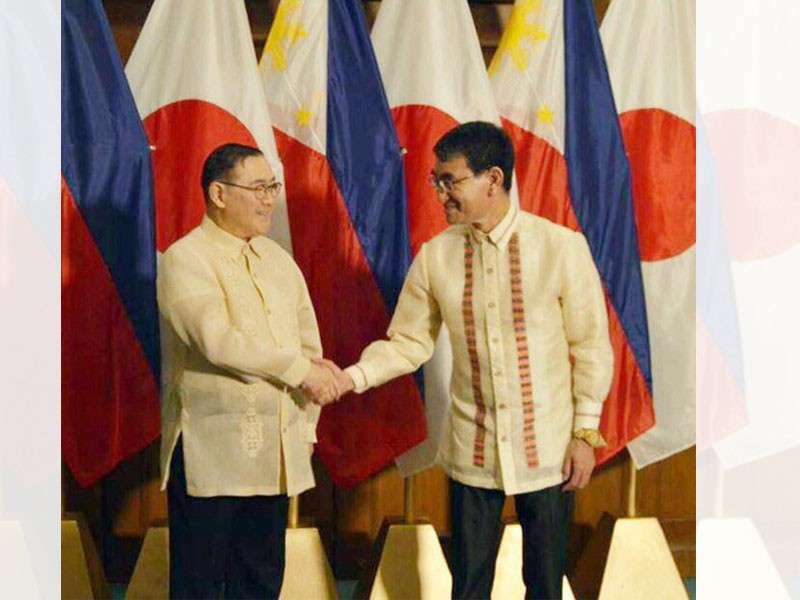 During the signing, Kono also committed Japan’s support for the Bangsamoro Organic Law. Japan, he said, will also extend support for maritime security, human resources development, and other development projects. Sakata added that these are under the “Japan-Philippines Joint Statement on Bilateral Cooperation for the next 5 Years” signed in October 2017 when President Rodrigo Duterte visited Japan.